52-page giant. Cover by Nick Cardy. 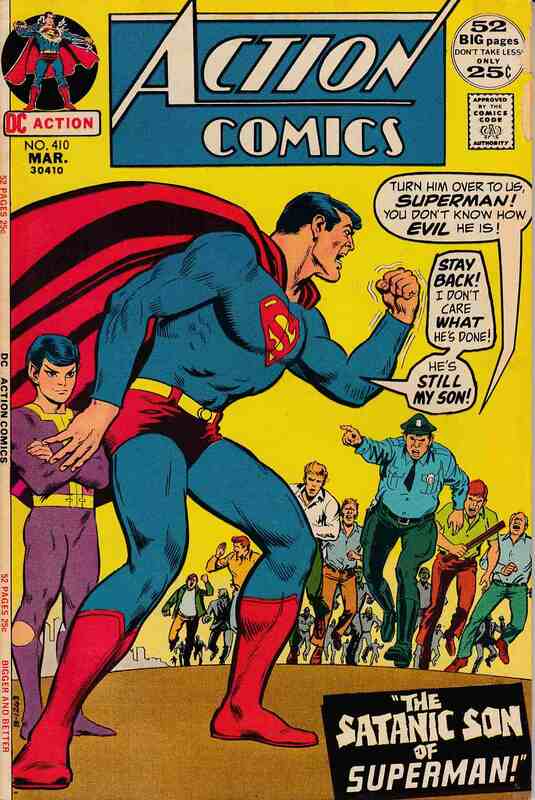 "The Satanic Son of Superman," script by Cary Bates, pencils by Curt Swan, inks by Murphy Anderson; Superman learns that his son, Krys, has caused many disasters over his 10 year lifetime. "Healing Hands from Beyond! ", script by Cary Bates, pencils by John Calnan, inks by Murphy Anderson; An ancient Indian magic allows Dr. Navarro to perform a complicated surgery. Classic Teen Titans reprint, "The Secret Olympic Heroes," script by Bob Haney, art by Nick Cardy; Speedy and the Titans locate a missing Olympic athlete. *Grading Notes: chipping along edge of front cover and first interior page.